Fuel | DEF | Lube | Service – Thunder Creek is the original innovator of these industry-leading solutions for off-road machinery maintenance. Their Multi-Tank Trailers are the first and only fuel and service trailers that do not require the driver to carry a HAZMAT endorsement, and in many cases, a CDL is not required either. They were designed to meet this specific need and ease the industry-wide burden of finding qualified employees with the necessary credentials. 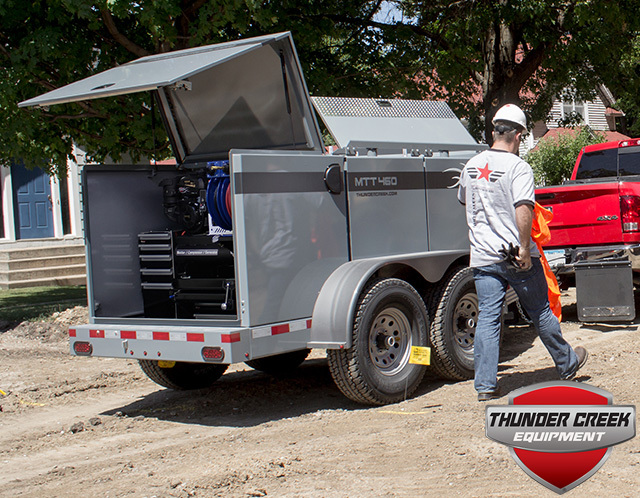 Protect your investment in your equipment with solutions to maintain fluid purity and save countless hours with all fluids and field service materials in one place with a Thunder Creek trailer. With multiple locations in the Southeast, we conveniently serve contractors, miners and other clients in Georgia South Carolina, North Carolina, Virginia, throughout the rest of the Southeast and beyond — even globally. 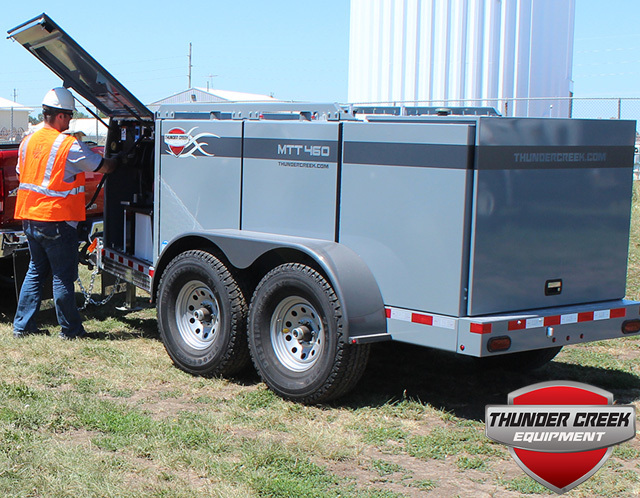 Contact us today to speak to a sales representative about our Thunder Creek trailers. 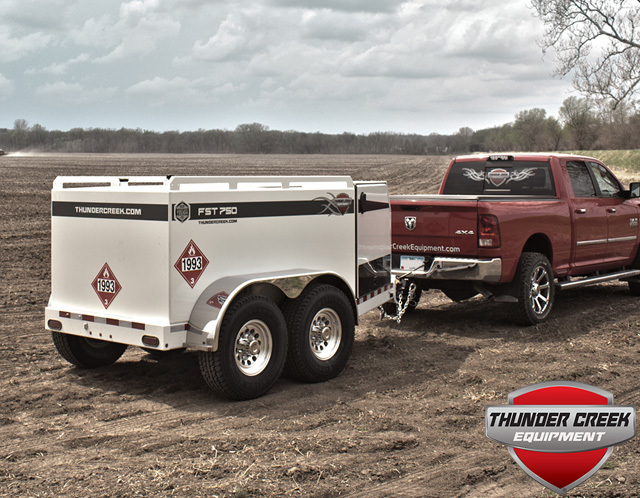 The one-of-a-kind Multi-Tank Trailer utilizes multiple 115-gallon tanks individually connected to a commercial grade pumping system. The result is a trailer that legally mitigates the need for the driver to carry a HAZMAT endorsement. In many cases, a CDL may not be required either. 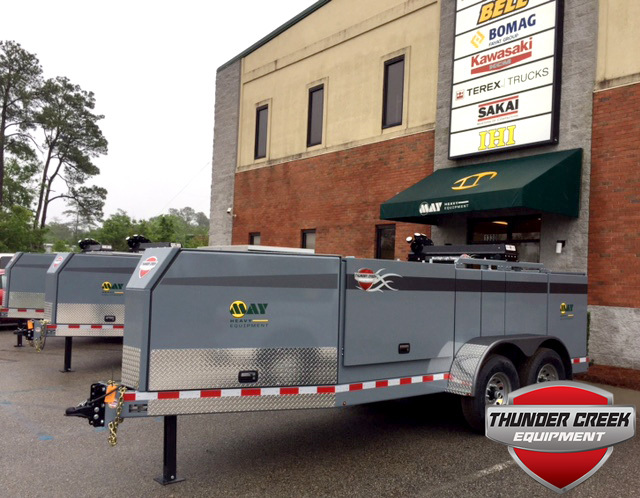 A Service & Lube Trailer is an affordable alternative to a lube truck. Each trailer is customized with up to eight tanks for oil, reclaimed oil, antifreeze, and diesel. You can also opt for a DEF system, grease system and a variety of job-ready tools.